Pioneering. Caring. Creative. Real. 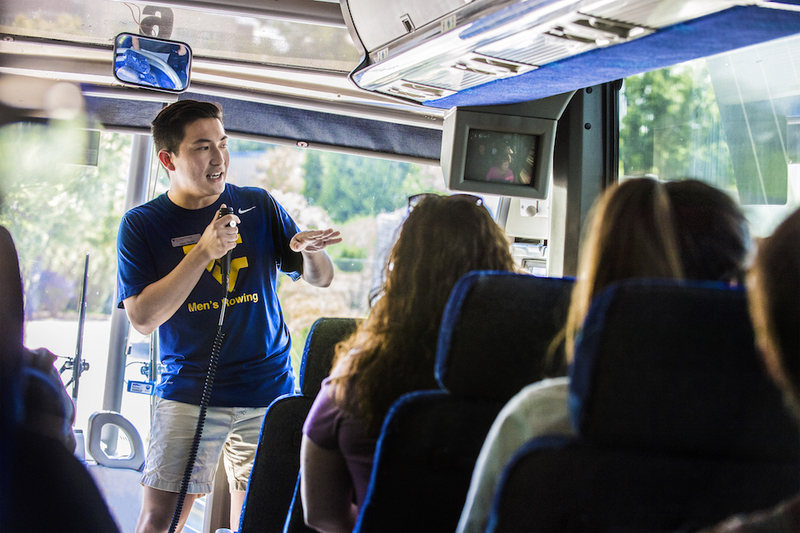 That’s the Mountaineer spirit, and we can’t wait to show your group how it guides everything we do at West Virginia University. Before planning your trip, please read our Group Tour Guidelines. We offer group tours Monday-Friday at 9 a.m., 11:30 a.m. and 1:30 p.m. to group sizes of 10+. Group visits must be requested at least one month in advance. It is not always possible to accommodate your group on your preferred date, so the earlier you schedule, the better. Please complete the Group Visit Request Form to schedule your visit. Requests must be made by someone from the school or visiting organization, not a third-party, such as a grant sponsor, travel agency or tour planning organization. The person scheduling the visit must accompany the group to campus. If you have questions, please email rminnigh@mail.wvu.edu or call 304-293-3489. Confirmation of the date you request to visit campus will be returned within three days of your group tour request. We will work with you to schedule activities aligned with your group's interest, but please be advised that availability of requested programming is not guaranteed. In the event that any activities are not available during your visit, the Visitors Center will work with your group to provide alternative programming. If dining on campus, please provide correct billing information on the group tour request form. 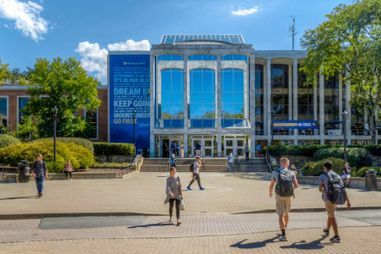 Dining on campus requires advance coordination between the Visitors Center and WVU Dining Services, so prompt receipt of billing information is required in order to make dining reservations on campus. 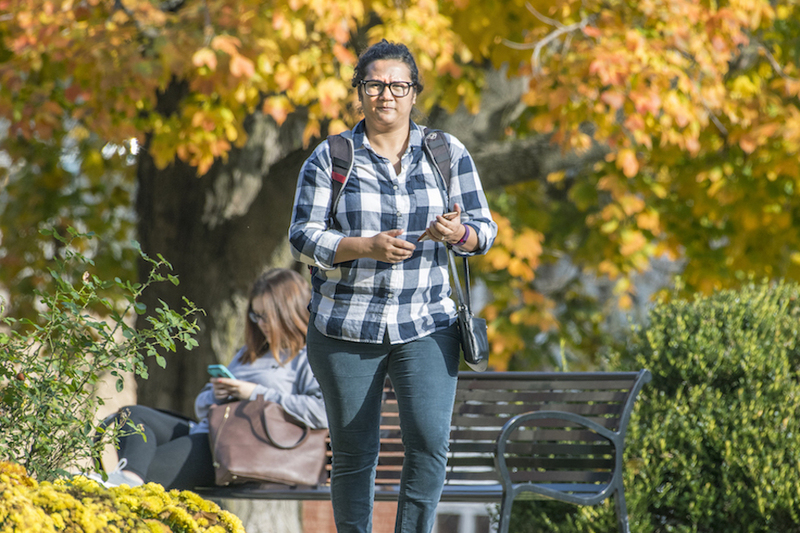 The Visitors Center will work with your group to provide an itinerary of the day's programming, but please be aware that coordination with different departments and programs on campus can sometimes delay finalization of this itinerary. We strive to send groups a finalized itinerary one week prior to your scheduled visit. We strive to effectively communicate with group visit organizers throughout the planning process. If you have any questions regarding the planning of your tour, please email rminnigh@mail.wvu.edu. 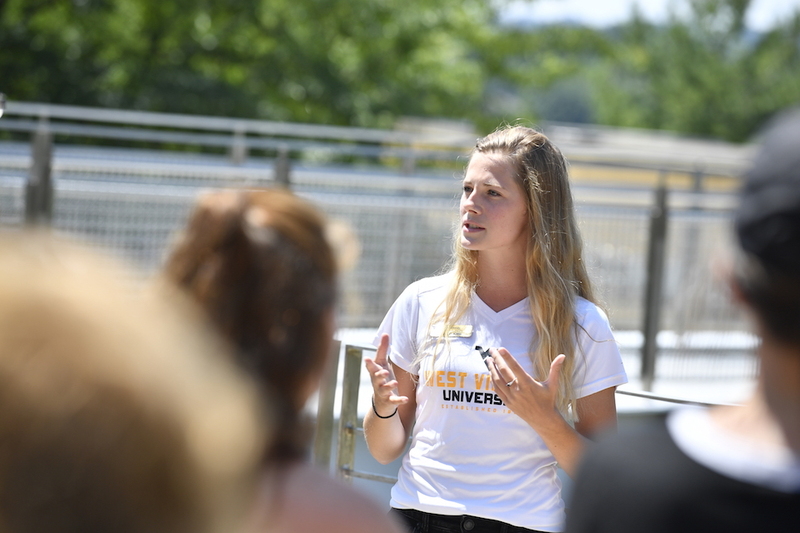 Your tour will include a true taste of college life – lots of walking! Please encourage your group to dress for the weather and wear comfortable shoes. We will provide an agenda and directions to your meeting location. Please make sure your group arrives on time so we have enough time to show you everything there is to see. Your tour will be part walking and part riding the bus you bring to campus. You must provide your own transportation for your visit. Your bus driver must stay with your bus at all times. Please have your bus driver bring a packed lunch, as leaving the bus parked on campus unattended is often not an option. Parking on campus is limited. A maximum of two vehicles will be permitted to follow the tour, but any additional vehicles much leave their vehicles in the Visitors Center parking garage. Please make the Visitors Center know two weeks in advance if you will need parking permits for up to two (2) vehicles permitted on campus. Chaperones must accompany your group at all times. Please provide adequate adult supervision for monitoring the group and ensuring appropriate behavior. WVU tour guides are not responsible for maintaining order. We will have fun as we explore campus with your group, but keep in mind classes and meetings are being held. Please remind your group to be quiet when inside the buildings. Your feedback is important to us. After your tour, please discuss their experience with your group and fill out our online survey. Let us know what you enjoyed and feel free to provide suggestions for improvement.